Calico were appointed to produce the soft furnishings for this 18th century building located in Coleford, Forest of Dean. 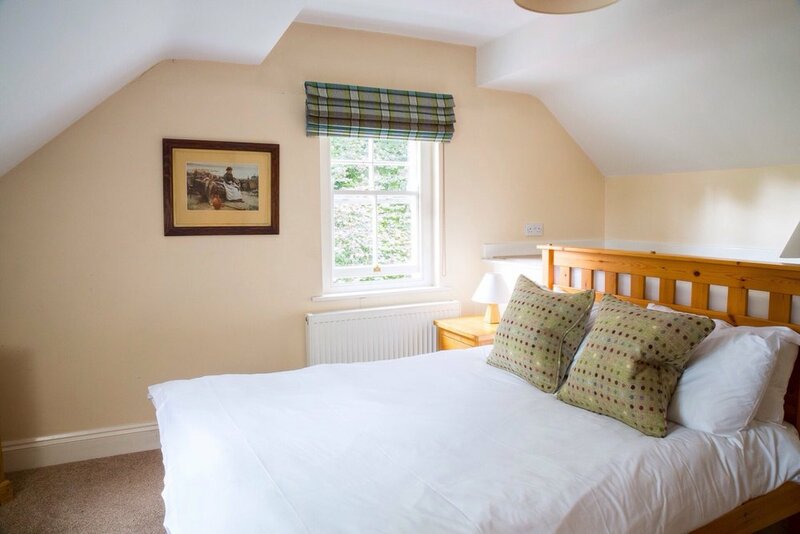 We made the blackout-lined curtains, cushions and window seats for the bedrooms. 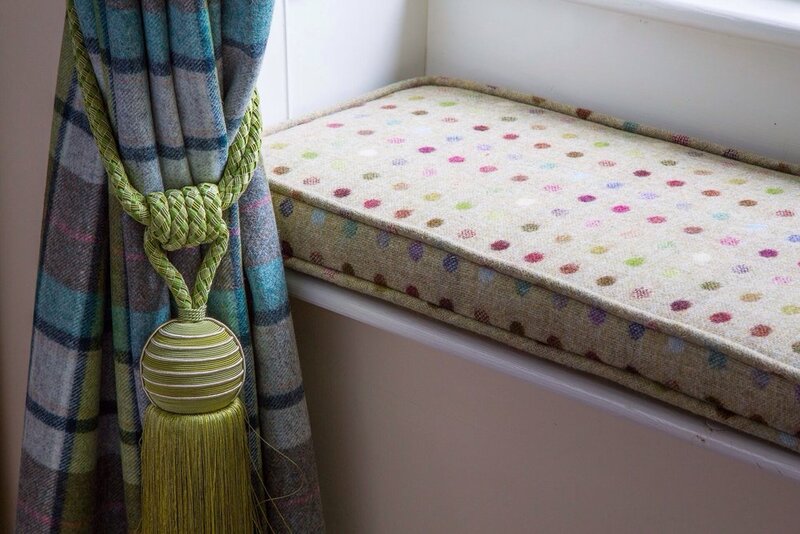 Luxury wool check fabrics were used for the curtains, along with a contemporary lime and damson colour scheme. We coordinated this with a multi-spot pattern for the feather filled cushions.